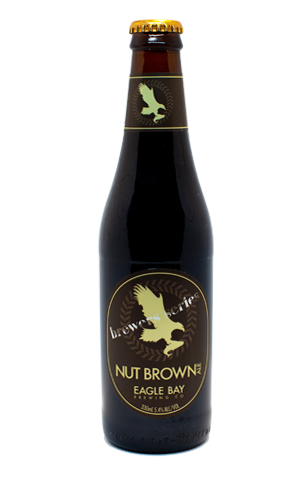 Eagle Bay Brewery have never shied away from brewing the classic styles often forgotten by other brewers in search of wacky and on trend substitutes. Their coastal brewery has been pumping out well made and distinguishable beers for almost a decade now and, here, lead brewer Keegan Steinbacher and brewing manager/owner Nick d'Espeissis aren't looking to buck any trends with their latest Brewers Series release either. Instead, continuing to take inspiration from the seasons for such beers, their Nut Brown Ale is designed to accompany the south west autumn weather, with an effortless drinkability that underplays plenty of nutty, roasted malt character. A smooth mouthfeel, full finish and 5.4 percent ABV make this ideal for sipping as the days get a little shorter and a little cooler.